Director Sam Mendes announced today that the new title for the 24th ‘Bond‘ film will be ‘Spectre‘ and that the film will film in London, Tome, Mexico City, Tangier, Erfoud, and the Austrian Alps. Looks like Bond is going on a big trip again. Joining Daniel Craig (James Bond) this time around is Christoph Waltz, Andrew Scott, Dave Bautista, Monica Bellucci, Lea Seydoux, Rory Kinnear, Ben Wishaw, Naomie Harris, and Ralph Fiennes. Waltz will play the main villain, Oberhauser with Bautista playing Mr. Hinx. Bellucci will be Lucia Sciarra and Scott will play Denbigh. Hoyte Van Hotyema has been set as cinematographer whose recent film was ‘Interstellar‘. And the new car was specifically designed for this movie, which will be the Aston Martin DB10. So what is ‘Spectre’? It’s an acronym for ‘Special Executive for Counter Intelligence, Terrorism, Revenge, and Extortion’. It’s a global crime organization, which was led by evil guru Ernst Stavro Blofeld in the old novels. Dr. 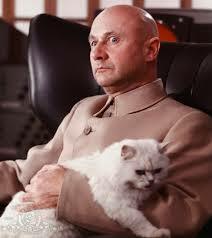 Evil from the ‘Austin Powers‘ films was very similar to Blofeld. There had been rumors that Waltz would play him in the new film, but with this announcement, it seems like he won’t. But, remember when Benedict Cumberbatch played Khan in the recent ‘Star Trek‘ movie, but nobody knew about it until he revealed his true name in the middle of the movie? It might be that type of situation. Either way, this is going to be BADASS! Now, who is going to do the song this time around. 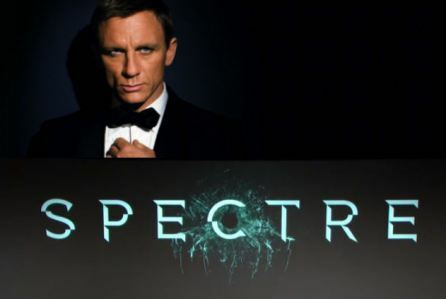 Enjoy the 007 ‘Spectre’ Trailer’! This entry was posted on Thursday, December 4th, 2014 at 9:12 am	and is filed under Film, News. You can follow any responses to this entry through the RSS 2.0 feed. You can skip to the end and leave a response. Pinging is currently not allowed. « ‘The Crow’ Finds Its Director Again!